Is Clickbank University A Scam? Clickbank University Review. Last updated on July 13, 2018 By Nat 10 Comments This post may contain affiliate links. We appreciate you supporting Rags To Niches! Full disclosure here. Clickbank University started up in 2014, at which time there was a $1 trail week available, but it cost $97 per month to join. Would this monthly fee be a worthy investment for you to start your own online business? Here are my thoughts. Current Price: $47 per month, (30 day money back guarantee). Clickbank University is a solid and well crafted program for people wanting to create and promote their own digital product. However, for people who simply want to learn about affiliate marketing in general, there are better programs out there. Because this programs just focuses on selling Clickbank products and using paid traffic methods. Therefore, by just following this training, you’d be missing out the infinite amount of ways that you could potentially profit via affiliate marketing. Someone who either already has an idea for, or who is wanting to create, their own digital product in order to sell on clickbank and to find affiliates to promote their own product. Someone who does not want to create their own digital product, but is looking to work as an affiliate, promoting other people’s products on clickbank. This distinction is important, as clickbank university is definitely more suited to people wanting to create their own products and I will explain why later in this review. Clickbank has a well created sales page, with an engaging video. Ok, It is pretty hyped up, showing the wealth that people have attained down to Clickbank and their success stories, which I’m generally not a fan of. However, it’s not promising over night wealth by any means. They clearly state in their video, that this is not a “get rich overnight scheme,” and that it will take time to grow your business. They suggest working slowly, as little as just an hour or two a day in the beginning, which is sound advice. It’s promising to see that Clickbank University are not trying to sell you on over inflated claims of wealth and success. Sure, they say that can be possible, but you do need to work for it. There is some decent training available at Clickbank University for people who would like to create their own product. If you have built up a dedicated following, or manage to build up decent traffic to your site and your product is a good one, creating your own product can be incredibly profitable. What’s more, if you have a decent product that converts well into sales, you’ll have plenty of affiliates wanting to promote your product too! The training is in the form of short videos, (many people find do find it easier to digest shorter videos) and there is also a PDF to accompany video training. Unfortunately, there are some upsells you’ll have to deal with – but this is common with a majority of internet marketing products! As soon as you join clickbank university, you find your first upsell, which is for a website builder. This website builder makes it incredibly straight forward for a vendor to create a website that integrates well with Clickbank. The website builder itself actually sounds awesome, I was watching a webinar a while back where they were including it within a package and it did look impressive. Considering the effort that can go into creating a website and a sales page, as well as setting up your sales funnel – this makes everything a lot simpler. For those people hoping to create and sell their own digital products, it could be a worthwhile investment for your business. As a newbie online, you may find it a struggle to get started without the website builder if you’re deciding to create your own product. While they give you the general concepts and knowledge of what you need to get done – it’s not step by step enough for some people who will really benefit from being hand held along the way. The rewards for creating a successful digital product can be plenty, but if you’re just starting out online, becoming an affiliate first will not only be cheaper, but it will give you the opportunity to learn how everything works. It may also be beneficial before creating your own product to learn how to build a website and generate traffic to your site, before you dive into the product creation sphere. If you go into product creation with some prior knowledge already of what your prospective customers want and already have some success within affiliate marketing, you will be starting from a more powerful position. In addition, building up an audience within the niche you’re hoping to target, means that you’ll already have prospective customers when you finally decide to create your own product. If you do decide to take advantage of the website builder upsell though, just be careful to find out whether that means you’re locked into Clickbank, or whether you could move your site in the future elsewhere. It would also be better if they were just transparent about any upsells from the start. People may even be more likely to sign up from the start if they knew they could purchase this website creator, for example. Traffic Generation: Paid All the way. The Clickbank University training focuses on creating squeeze and sales pages and building email lists, generating traffic will be through social media or you tube. By using this method though, getting natural, organic traffic to these sites, without using methods such as keyword research or blog posts may mean that generating adequate traffic to these sites will be an uphill struggle. That said, generating traffic in an organic way takes plenty of time too. 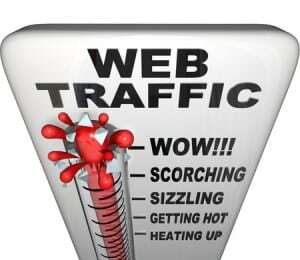 The bonus with organic traffic from the search engines is… it’s free. Whereas ploughing money into paid traffic can become insanely expensive. I think the problem is, that the sort of sites you’ll be taught how to build won’t rank highly in the search engines, so you will have to rely on paid traffic methods. This is because they’ll be thin content wise and completely sales orientated – therefore, they may not rank at all in Google. One way you will be generating sales of course, would be through affiliates, (if you’re creating your own product). So, as long as you have a decent products and your affiliates have successful websites that are generating decent traffic, then you’ll be able to gain traffic from that angle, as well as social media and you tube if you decide to do so. From an affiliate marketing perspective, training is largely based on email marketing, but there isn’t SEO training for creating content. Again, this wipes out the opportunity of generating organic traffic from the search engines. Some people have reported that support is a bit thin on the ground, questions missed or unanswered in some cases. However, they do now have a new weekly Q and A session, where people can raise any concerns they have and this is certainly a step in the right direction. The program has changed over time and I get the sense that the creators are genuinely motivated to keep the program up to date and try and improve any potential issues. One extra feature I really like is the “university talks” section, where they have weekly talks to successful vendors and affiliates. I always find those sorts of talks pretty inspiring and motivational. There are also regular live and recorded webinars, so you get further training available than what is just in the membership area. Lack of SEO training, makes vendors reliant on getting traffic via social media, you tube or affiliates promoting their products, (or potentially paid traffic later on). Affiliates are in even more need to learn SEO tactics, as they will need to drive traffic to their websites in order to promote the clickbank products. You’re only taught how to sell clickbank products as an affiliate – when there are are an unlimted amount of products outside clickbank that you could promote. Conclusion: Is Clickbank University A Scam? I can confidently conclude that NO, it is not a scam. It is a solid membership program, with some decent training available. It is also very reasonable value for money, for the training they provide. This program is best for people wishing to create and market their own product on the Clickbank platform. So, if you have some expertise in your field and you think you have a product in mind that you’d love to produce – go for it! In my opinion, the training itself is also most suited to intermediate marketers rather than complete beginners. Ideally to those who already have some basic understanding of SEO, such as how you can drive organic traffic to your site via (e.g) low-competition keyword research and creating quality content on your website. Purely because, this prior knowledge means you won’t miss out on anything that Clickbank won’t teach and you will be able to apply this knowledge to your business if you choose too, while still benefiting from the training at Clickbank University. As an intermediate marketer, it would also mean they will be more likely to get along ok without the additional Website builder. If You Don’t Want To Create Your Own Products…. If you are not ready to produce your own product and were hoping instead to learn about affiliate marketing, then there is a better program that would suit you. Wealthy Affiliate is a training membership program that I’ve been a member of for several years and still continue to learn from. It has a tonne more in depth, step-by-step training and a large supportive and active community, you can also personally contact the owners directly if you have any problems. It ideal for newbies and experienced internet marketers alike. You can trial it out for free in your first week, (in that trial period you can also take advantage of 10 free lessons, get started with two free websites, check out the community and get a feel for the place). This program will also teach you how to promote any kind of product that you want – most products you can imagine have an affiliate program attached to them. So, you are in no way limited to learning about Clickbank products. What’s been your experience with Clickbank University? I’d love to know! Leave me a comment below! Great post! 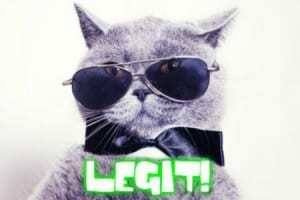 I finally understood what is Clickbank University and how it works. You explained it very well and thoroughly. It seems a legit program, although I don’t like upsells at all. What kind of products can we create? I imagine digital products, like e-books? Affiliate marketing seems a better place to start, though. Thanks for the review! Hi there, great I’m pleased that my post helped explain it :). Yes any kind of digital product – ebooks are popular, but also things like online courses run through clickbank.- for example bring the fresh is purchased through clickbank, documents, music files, software and the like! I agree, affiliate marketing is a good place to start. I’ve heard a lot about Clickbank University and to be honest, I figured its hype was blown out of proportion but I am glad to see there is so value in it. It’s good to see it focuses on creating your own product though, which I am sure will be a good income source for online marketers. Although I learned affiliate marketing, I never got into product creation but I am interested in it. So you recommend CU for learning how to create products and selling them? Hey there! Hi yes, if you have an idea for a product in mind, I say clickbank does offer good training in that respect. I just wouldn’t recommend it if you were purely looking to learn about affiliate marketing. You’re welcome! This was a really well-explained review on Clickbank university. I just have a few questions in regards to the upsells. As you mentioned one of the upsells is for a website builder. But what if, I was to build the website component myself and justed needed help on creating my e-book? Would love to get a reply back.Thanks in advance. Hi vinnie – no you don’t have to get the website builder at all and you especially wouldn’t be needing it if you’re creating an ebook. This review is actually about clickbank 1 and a couple of months ago clickbank 2 was released, which has all been updated also. I think it’s been improved but I’ve yet to get in a review the new program, I did see a webinar about it and it certainly looked good, sounds like they’ve made some good changes. I hope to review the new program soon — all the links on this page are to the new program btw, as the other program is no more. All the best! Hi, this review currently needs updating as its for cu no.1 and has been updated to click and university 2.0. However, the website builder is not essential no, although would be more useful if you’re selling your own products. As an affiliate you definitely don’t need it. It is not mandatory at all. This is a cracking and throrough review, I noticed you said a little while ago you wanted to update your review as it was now Clickbank 2,.0? HAs much changed in the versions of their training? I am so glad I found your review as backup. I saw you said about Wealthy Affiliate, is it any good? Hey Andrew – you’re quite right, I need to update this review! It totally depends what you’re looking for really… If you’re looking to create your own product, then Clickbank can help- although, really – they are just teaching you how to market on clickbank. If you’re more interested in affiliate marketing in general and how to build your own business promoting other peoples’ products initially, then I’d recommend Wealthy affiliate first. It’s where I started off myself and they also have some free training initially, (a 10-part course) which means you can try everything out and see if it’s for you. Which is a bonus. It’s good value, because it incorporates everything into the platform and you can interact with thousands of other people, all learning too.